We remember faculty, staff, alumni, and friends of the Department of Art and Art History who have passed away. Over four decades, photographer and Professor GAY BURKE developed a distinguished art photography program in The University of Alabama’s Department of Art and Art History, all the while creating her own artwork. Burke died May 1, 2017. For the month of October, two exhibitions, of Burke’s work and the work of her students, will be on display in the Dinah Washington Cultural Arts Center in downtown Tuscaloosa. A semi-retrospective exhibition, Gay Burke: The Mother of Alabama Art Photography, will be on display in The Arts Council Gallery. 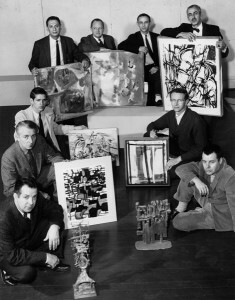 In addition, the Alabama State Council on the Arts is assisting with the curation and exhibition of Burke’s former students’ works which will be held in The University of Alabama Gallery. 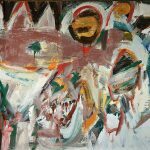 MFA alumnus and beloved Alabama artist FRANK FLEMING passed away in March of 2018. 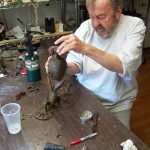 Fleming’s bronze and porcelain fantastical sculptures have been shown throughout the country, from the Smithsonian American Art Museum to the Alexander F. Milliken Gallery in New York. 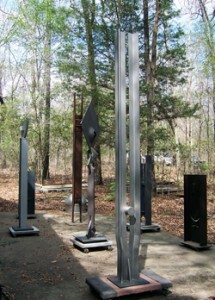 In Alabama, his sculptures can be seen at the University of North Alabama, the Birmingham Botanical Gardens, the Montgomery Museum of Fine Arts, and The University of Alabama, as well as numerous other venues. He is probably best known for his sculpture, The Storyteller, at Five Points South in Birmingham. In 2014, we interviewed him about how he got his start at a juried exhibition at the Birmingham Museum of Art in 1974. 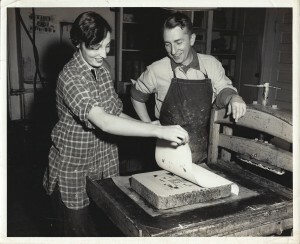 More about Frank Fleming’s life and art is at the Encyclopedia of Alabama. 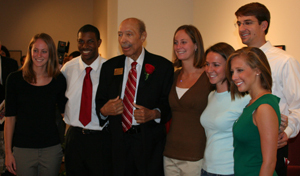 FARLEY MOODY GALBRAITH – Anniston, Ala. — A memorial gathering for Farley Moody Galbraith, 93, of Anniston, will be 11 a.m. Thursday, January 29, 2013, at Grace Episcopal Church in the prayer garden with the Rev. Lee Shafer officiating. Mrs. Galbraith was married for 42 years to the late Wilfred Galbraith, who editor of the Anniston Star for 18 years. She was a graduate of Sweet Briar College and received her B.A. degree in History at the University of Alabama. She was a Chairman of the special gifts division with the Calhoun County United Way. Mrs. Galbraith was a member of the YMCA Broad of Directors and the International House for exchange students at Jacksonville State University. She was member of the Anniston Museum’s Special Exhibit Committee spending much of her time with the Children’s Hands-on division. She was a member of Friends of the Library. For many years she was member of the Society for the Fine Arts of life at the University of Alabama and sponsor of the Sarah McCorkle Moody Art Gallery. She was a member of the board of Directors Anniston Community Theatre. Survivors include her daughter, Farley Moody Galbraith; son, George Locke Galbraith; grandchildren, Locke Fulton Galbraith, and Frances Garber Galbraith; nine nieces and three nephews; and special companions, Essie Figures, Marjorie “Sally” Burnett and Emma Berry. Mrs. Galbraith is preceded in death by her husband, Wilfred Galbraith; sister, Sarah Sims Moody Huey; and brother, Frank McCorkle Moody. HOWARD D. GOODSON, 55, art teacher at the University of Alabama for 28 years and one of the state’s most well-known artists, died Friday [September 7, 1975] after a brief illness. A memorial service will be held today at 4 p.m at the Garland Hall Art Gallery. The Rev. Emmet Gribbin and Prof. Goodson’s son, Michael Goodson, will officiate. In lieu of flowers, the family requests that contributions be made to the Art Department Scholarship Fund at the University. Prof. Goodson was known throughout the South for his painting. Additionally, his inventive stage and set designs have contributed to many dramatic productions in this community. Read more at The Tuscaloosa News Google News Archives site. 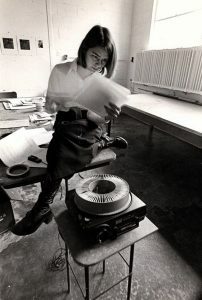 SYDNEY RHODES HAUSER (BFA 1967) died September 11, 2012, at her home in Sarasota, Florida. She was buried in Oak Hill Cemetery in Birmingham. According to her obituary in the Sarasota Herald-Tribune, Hauser was born in Birmingham and graduated from Shades Valley High School in 1963. She attended the University of West Alabama and received a Bachelor of Fine Arts from The University of Alabama in 1967. 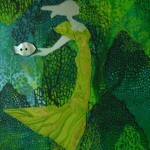 She also graduated from the Ringling College of Art and Design in Sarasota. Hauser was the illustrator of the popular bestseller, Proverbial Cat Calendar. She owned and managed a studio and retail shop, “The Tabby Cat,” in Sarasota for many years. In lieu of flowers, the family requests that contributions be made to Old Miakka Methodist Church, 1620 Myakka Road, Sarasota, FL 34240. Her illustrations may be seen on her website: http://www.sydneyhauser.com/. 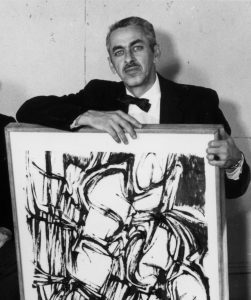 TED KLITZKE — Theodore Klitzke, art history professor and head of the UA art department from 1959 to 1968, died January 10, 2008, in Baltimore, Maryland. Living in Alabama seemed to have enhanced Dr. Klitzke’s full and rewarding life as much as The University of Alabama was enriched by him. While he was here, he served on the board of the ACLU, and he marched with his wife and children from Selma to Montgomery in March of 1965. In The Freedom Quilting Bee, author Nancy Callahan writes that he befriended organizers of the Gee’s Bend quilters and in 1967 helped the artist Lee Krasner find her way down to Wilcox County to meet them. According to a former student, the KKK burned crosses in the front yard of his Pinehurst home three different times. Dr. Klitzke also contributed an essay to Emphasis ‘67, an SGA publication in which he discussed civil rights, women’s rights and the rights of college students. — from The Loupe, Spring 2008. While still working on his master’s in painting, JAMES MCNUTT (BFA 1966, MFA 1968) was employed by the Tuscaloosa County Board of Education as a Title I Elementary School Art Teacher. After graduation, he was drafted into the army and served as an art illustrator at the John F. Kennedy Institute for Military Service at Fort Bragg. With an honorable discharge in 1971, he returned to Tuscaloosa and taught art in the Tuscaloosa County School system at Matthews Elementary and at Brookwood High School. In 1973, McNutt joined the UA faculty with a joint appointment in the College of Arts and Sciences and the College of Education. In 1978-79, he also worked as an art illustrator for Alabama Air National Guard at Donnelly Field, Montgomery (honorably discharged in 1979). He took a leave of absence from UA in the 1980s to attend Florida State University’s School of Visual Arts where he received the PhD in 1988 with a concentration in phenomenological aesthetics and a minor in historical research. 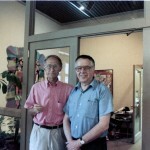 He returned to the University in 1988 and continued to teach there until his retirement in 1996. MORGAN SIGLER was a UA art major, class of 2012, who lost her life in the tornado of April 27, 2011, after it hit the house in which she was taking shelter with friends. In honor of Sigler, a special reception was held at the Walnut Gallery in Gadsden, owned by MARIO GALLARDO (MFA 2002) where her work, along with other work by UA art students, was on exhibit at the time of the tornado. She received her degree from The University of Alabama posthumously. Please also visit: http://bit.ly/MorganEncore. Reprinted from The Loupe, Summer 2011. Please send news to Rachel Dobson, Visual Resources Curator, Department of Art and Art History, Box 870270, Tuscaloosa, AL 35487 or email us.